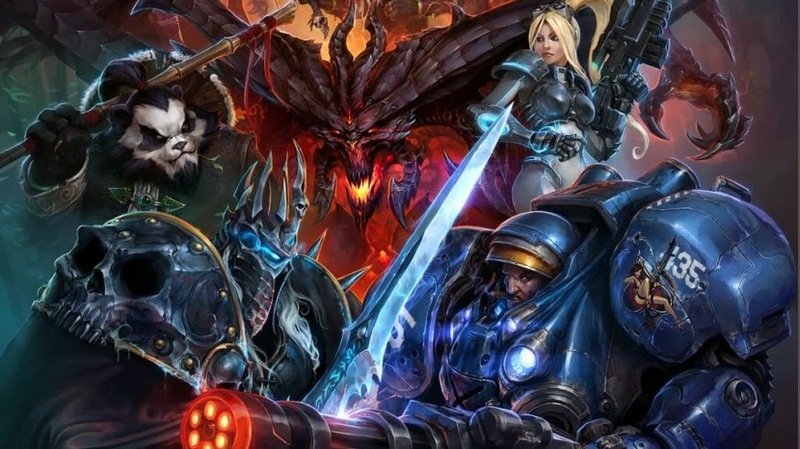 Heroes of the Storm is Blizzard Entertainment’s take on the MOBA genre, designed to ease newcomers into its strategic blend of PvP and lane control madness. 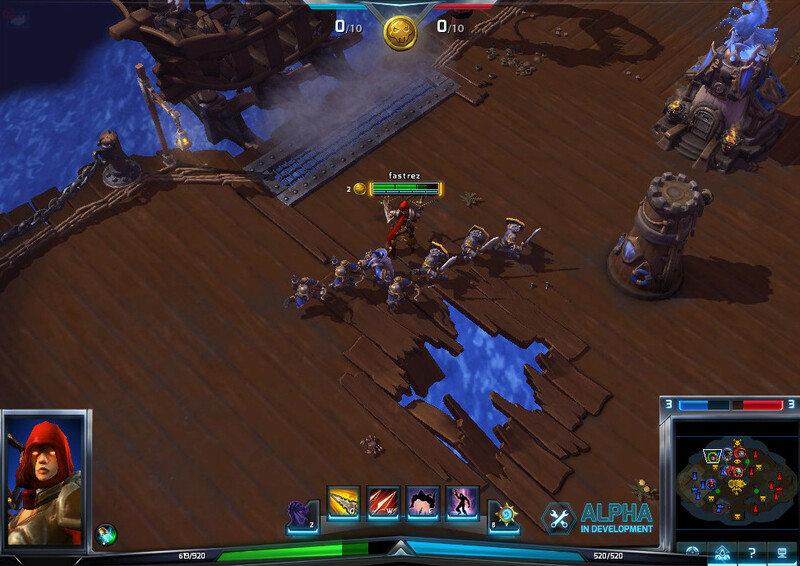 We hurl MOBA noob Dave Cook to the wolves to see if he can handle it. MOBAs intimidate the crap out of me. I’ve had the League of Legends client installed on this laptop for months now and I’m yet to fire it up, partly because I’ve convinced myself that the veterans are now so good that I’ll be unable to compete, and due to the quick micro-management of skills, buffs and other mechanics. Trying to comprehend it gives me a headache. I remember being in the crowd at gamescom during Valve’s inaugural Dota 2 tournament The International. I was sitting there waiting for an interview with Gabe Newell, surrounded by a mob of screaming German kids. They yelled out in elation at things I didn’t understand, and roared at what looked to me like an indescribable mess of brightly-coloured pixels, as if some pissed-up rainbow had just thrown up on the screen. I had no idea what was going on. So while the MOBA genre strikes feelings of great trepidation into my heart, I was assured by Blizzard that Heroes of the Storm wasn’t as scary. In fact, the game’s opening has been specifically designed to spell out the fundamentals in plain English, and is comprised of tutorials that take you through the basics in baby steps. Can it help me become a proficient MOBA warrior? That’s what I wanted to find out. The studio was kind enough to grant me access to the Heroes of the Storm alpha phase, which begins with StarCraft’s James Raynor being sucked into the Nexus; a war-torn plane of existence where the champions of Blizzard’s realms have been summoned so they can do battle for glory. The opening tutorial starts by explaining the bare essentials of movement, attacking and skills against low level grunts which, while weak, are crucial to winning matches. I learned pretty early on that these smaller footsoldiers serve a few purposes. Each team’s half of the map is fortified with auto-turrets that will instantly lock on to your hero as soon as you enter firing range, but if you wade in with a swarm of minions the guns will concentrate fire on them first. Blizzard makes it clear early on that taking on turrets single-handedly is suicidal, so it pays to hang back and wait for a new band of minions to spawn before trying to take down the enemy’s defences. With that vital truth ingrained into my mind, I moved on to my first tutorial fight against Diablo himself, which was quite simple. It was a case of shooting off Raynor’s rifle at range and unleashing powerful shots after each cool-down. The point was that it wasn’t supposed to be challenging – not yet anyway – as Blizzard wants to make sure you’re understanding every vital step along the way. Next came a brief tutorial on map lay-outs and other features in the proper game. The first alpha map I played is a 5v5 environment called The Haunted Mines where the objective is to destroy the enemy team’s core, which in this instance was a fortified palace within each team’s spawn zone. 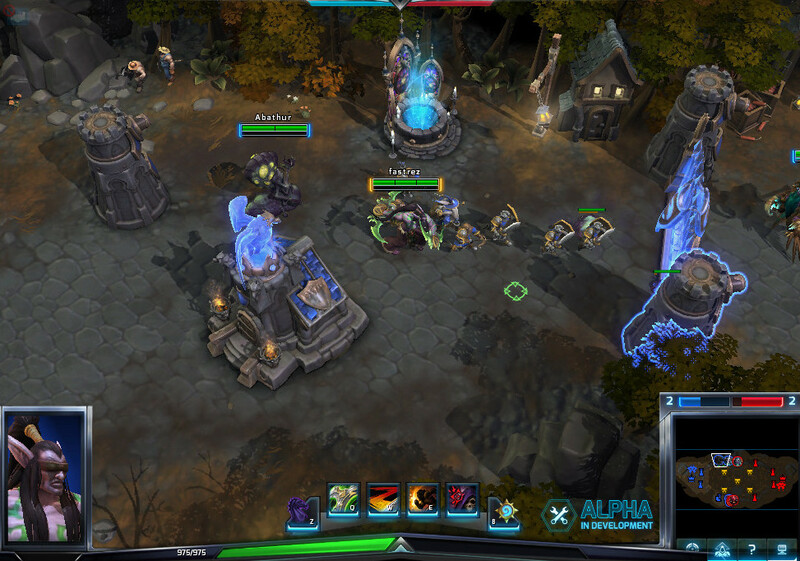 There are three lanes branching off from each starting area with some smaller paths connecting them along the way, as well as health fountains and turrets at certain points. The idea is that each lane needs to be defended to stop enemy forces from slipping through, while pushing back towards their core. My initial problem was trying too hard to push forward at all times, without taking time to hang back to heal or switch lanes to help allies in danger. I was Zerg rushing solo basically, which was absolutely as foolish as it sounds. After self-imposing a degree of discipline, I got into the habit of supporting my AI companions Kerrigan, Uther, Tyrael and Demon Hunter, instead of just powering forward blindly. It all started to click after a few minutes. What I really enjoyed was the tug-of-war vibe that kicks in once both sides clash in the middle of the map. In a way your minions are almost like malleable cover, seeing as they cause turrets and AI to become distracted, and they become vital during those hard-hitting skirmishes. Knowing when to retreat to a health fountain can spare you a lengthy respawn wait, and was something I hard to force myself to do often at the outset. Respawn time also increases with each death to discourage foolish play. Another layer of strategy comes in the Heroes of the Storm levelling system, that sees teams gaining levels and new skills by slaughtering minions, destroying defences and killing members of the other team. With each level gained, you get to choose between two additional abilities, which are often quite varied so you’ll need to think about how best to support your side when making your choice. There’s also the little matter of the Haunted Mines’ secondary objective, which takes a little getting used to. Every so often you’ll receive a prompt that the map’s underground mines have opened. These are smaller dungeons that lie beneath the environment, and are filled with undead, as well as a golem mini-boss. Each enemy within the mines drops a glowing skull when defeated, and it’s up to each team to collect as many of them as possible. Once the mine is clear both sides will summon their own golem brute, and whichever side has the most skulls will have the stronger beast on their side. At first I didn’t bother going to the mines for fear of leaving the surface lanes free and open to attack, but it really pays to go and help out because those golems really do make a difference. The practice mode AI is proficient enough that we won the mine battle with ease to summon the tougher golem, but I can imagine there being a great deal of micromanagement when deciding which players will venture below and who will stay topside in an all-human battle. It’s stressful at first, but adds a a micro-game mode into the mix. There’s a similar side-quest in sea port map Blackheart’s Bay, which occasionally drops doubloon chests around its many pier walkways. If you manage to defeat the skeletal pirates guarding the booty, you can collect the coins and deposit them to Blackheart himself. Once you save up ten doubloons the ghostly pirate will assault the enemy fort with a blast of his cannons. It adds something of a manic scramble to what is already a ‘busy’ game, but it all makes sense after practice, like most things. After the dust had settled and our team emerged victorious, I unlocked practice mode – against the AI – and tried out the initial five heroes that came free with the base game. 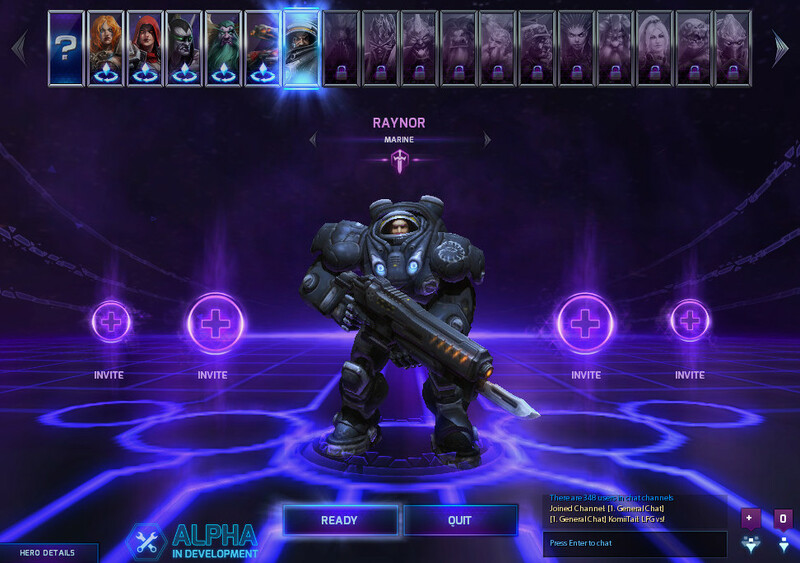 Raynor’s great but isn’t part of the starting line-up, despite his inclusion in the tutorial, so must be purchased for 2,000 gold. 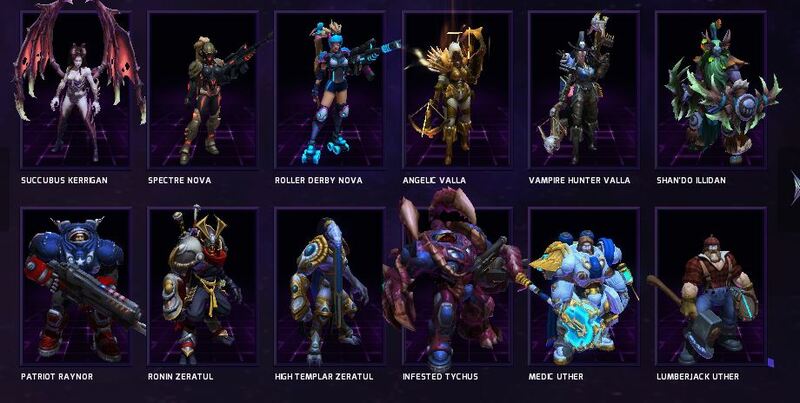 Characters like Kerrigan and Nova cost 10,000 gold and can’t be access straight away, but can be sampled in the store. There’s also the MOBA staple of character skins, that get a little wacky. Ronin Zeratul is my favourite outfit so far. It just looks badass. So far I’m definitely leaning towards the Demon Hunter due to her ranged attacks and moves like Hungering Arrow, which drill through a line of minions at once. She’s great for taking out packs of smaller troops in a single move, and she’s fast to boot. After passing level four I was awarded 2,000 gold so instantly unlocked Raynor again as I really liked his big cannon blasts and defence. It’s useful that each hero is labelled with a difficulty level too, just so you can see who’s best for newcomers and which characters fare better in the hands of veterans. I also enjoyed the raw power of the Barbarian, but she’s painfully slow so I had to keep conjuring my mount to move around at speed, which takes a few moments on its own. I just found that retreating from turret range once my minions were all dead was taking too long, and saw me taking several cannon blasts to the back of the head before I reached a safe distance. I might return to her once I’ve got more practice in. But for now, I’m sitting here writing this after having just passed into level six. Cooperative mode and versus play are both now unlocked, and I’m hovering over them with my mouse while feeling a little intimidated. I’m going to jump in and play some actual humans now, which could go well or horribly, but either way, I’ll report back in part two of this article. Stay tuned. Disclosure: To assist in writing this article, Blizzard Entertainment sent Dave a Heroes of the Storm alpha key.